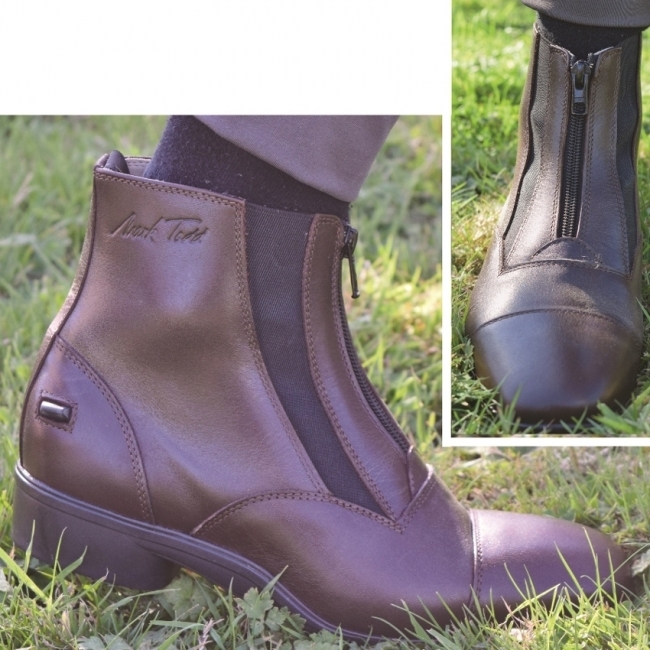 Brand new to the Mark Todd collection for 2017, this is a stylish short riding boot with lots of additional features. 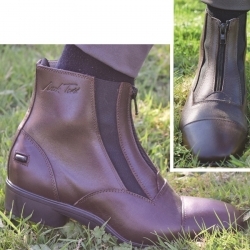 Offering supreme comfort with elastic panels aiding in foot position, front zip, a technical layered shock absorbing sole and the Mark Todd signature stamp on the side.These boots are for riding and not suitable to be worn for yard duties, why would you want to muck out in such beautiful boots? !